Building contractors Richardson & Peat has built a new centre to give students on the autism spectrum specialist support to reach their potential in a mainstream school. 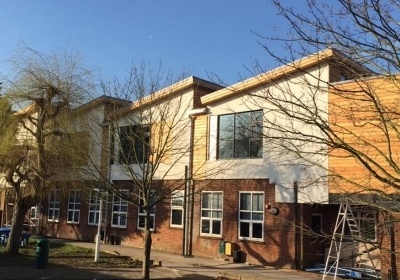 The single storey building at the NAS Cullum Centre at Rodborough School in Godalming is one of three centres in Surrey of this kind to be delivered by the contractors. 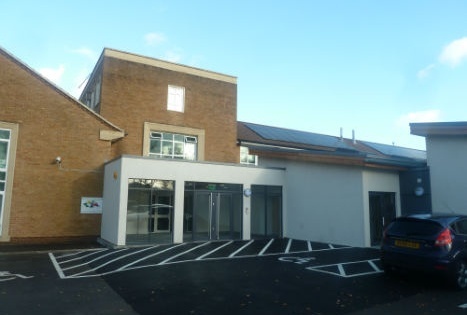 Appointed by the National Autistic Society (NAS) who managed the Rodborough School project on behalf of the Cullum Family Trust, Richardson & Peat constructed the centre - along with a connecting lobby to the existing school – during term-time. 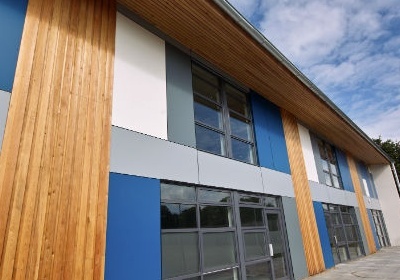 The £875,000 project was completed in just six months and without disruption to lessons. 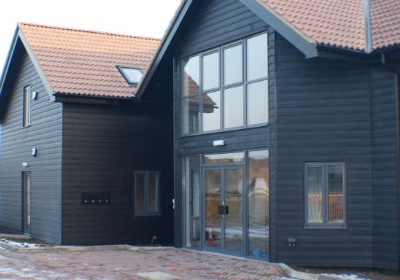 Built on a 483m2 area of land and designed by architect Mark Ellerby, the centre is designed for autistic children working in a school environment. 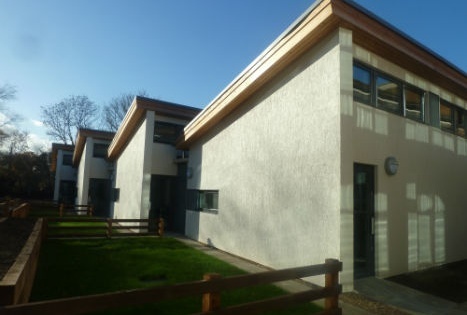 Richardson & Peat, who were specified contractors due to the quality of their work on similar projects, were required to build a single-storey, timber framed building which incorporated a ‘school feel’ whilst allowing for the needs of autistic children. Among the challenges was providing good levels of natural daylight whilst ensuring minimum window views for children to avoid distraction. Richardson & Peat’s solution was to install high ceilings throughout the centre and position the windows at a similar level. They also installed curved walls throughout the building as the safety of autistic students was a key component of its structure. Break out spaces, a teaching kitchen and areas affording good acoustic levels were also created to help raise performance levels of children. Richardson & Peat work on a range of projects from major residential schemes to bespoke homes, new build and refurbishment projects spanning education, health, commercial and private construction. The company, which is based in Shefford, Bedfordshire, places an emphasis on energy, efficiency and sustainability through to Passivhaus construction and passive principles.